These were first made in March 1979. 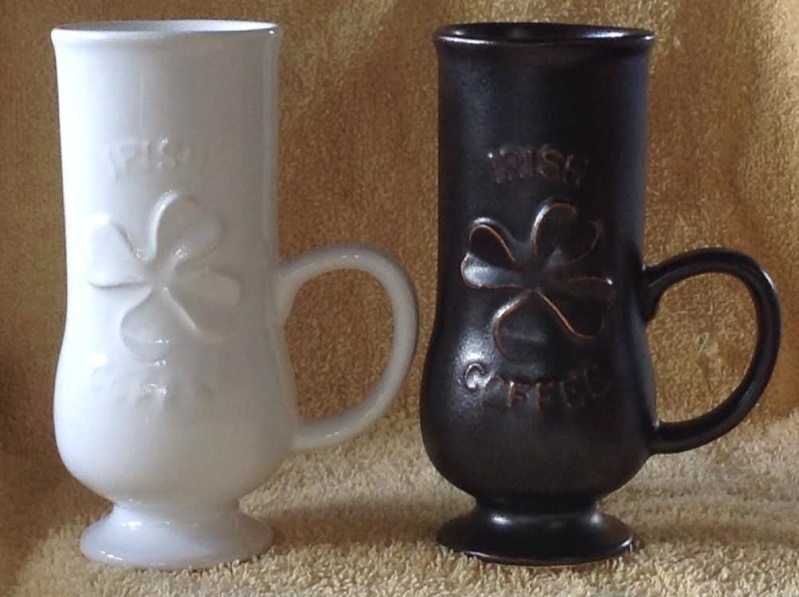 I've often seen these mugs on my travels, but have never seen a name or number on them. 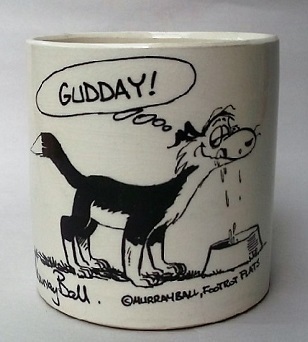 Val Monk had one with her when we visited Cam and Bev Brown and asked if they knew who made them. They had no ideas. I came across an entry in the Crown Lynn records that is the title of this thread and realised that they must be Crown Lynn. Next thing you know I found one and swooped it up. It has a very dark green glaze that looks almost black in this photograph. I saw some at Val's when I visited and added one, albeit slightly chipped at base. but I totally had my hands full so could not carry anything more. They would have completed a set for Val, so I will keep an eye out when I return Sunday. Ev, could you please add a photo of the base. produced a few more unmarked items at the time. I found another today at the Sallies. 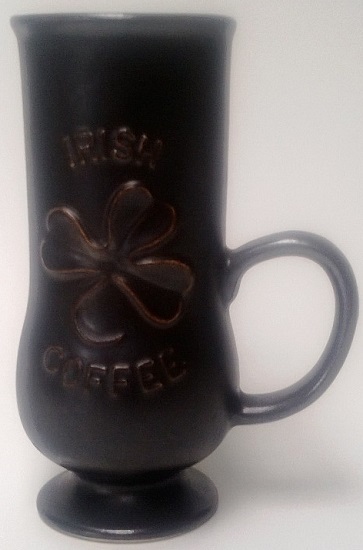 Glaze is brown over the letters and shamrock but almost black on the body. It has an unusual texture that I haven't seen on other four digit mugs. These are popping up everywhere. And here's a white one. These two on trademe are a different shape, shorter, squatter, and ALL the writing is underneath the shamrock.